The benefits of oranges may range from anxiety reduction via aromatherapy with sweet orange essential oil, to reduced glaucoma risk, to an increase in blood flow to the extremities and reduced muscle fatigue. 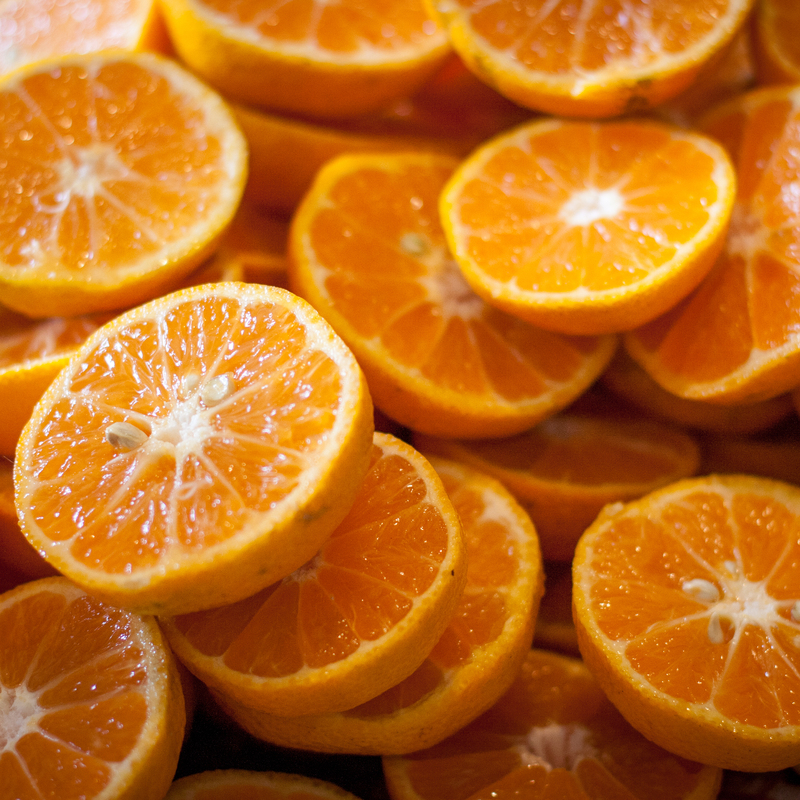 Orange concentrates are also potassium-rich, which may reduce the risk of stroke. The consumption of sugar paired with naturally occurring antioxidants may even reduce the oxidative damage of eating sugar straight up, but one should rinse with water to neutralize the acid and postpone teeth brushing for at least thirty to sixty minutes, as research demonstrates that the consumption of citrus and sour fruit may soften enamel. Image Credit: Caitlin Regan / Flickr. This image has been modified. How many antioxidant-rich foods do we need to eat every day just to stay out of oxidative debt?